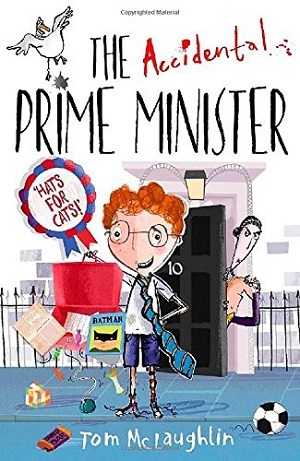 Of course, Tom didn’t start his career writing books – he started, somewhat aptly for someone promoting The Accidental Prime Minister, drawing political cartoons. “It’s similar to what I’m doing now; drawing pictures and writing jokes, but of course with a book you get much more time to think about and play with ideas. 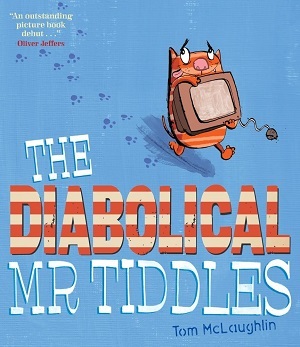 Also, the world is quite a miserable place, and with a book it doesn’t have to be based in reality – so you can have the queen wearing roller skates!” This suits Tom well, as he’s never far away from a joke, inspired by anything from TV to podcast, Monty Python to John Oliver, Father Ted to The Daily Show. He even has the word ‘laugh’ in his name, a fact his publisher has highlighted by colouring it a different colour on the front of The Accidental Prime Minister. Tom also treats his keyboard like a piano; music inspires him. In fact, music resonates throughout The Accidental Prime Minister because the chapter headings are all song titles – London Calling was originally the title of the first chapter – although this was dropped in the end, and it became ‘I don’t like Mondays’: “Being at home in front of the computer 12 hours a day drawing or writing you need something, so I listen to a lot of music. If I’m writing I tend to listen to quite spiky, anarchic jazz because it’s like playing the piano on the keyboard. You don’t want any words though when you’re writing. I used to have classical music but you ended up feeling quite sleepy.” Perhaps the sleepiness inspired his next picture book, The Cloudspotter, publishing 18th June. The cover has a dreamlike quality – and the book is inspired by using the shapes of clouds to make images. Judging from his talent at changing mere pen strokes into full-blown political caricatures of the children at this latest school visit, Tom’s pictures and jokes look likely to win him many votes.